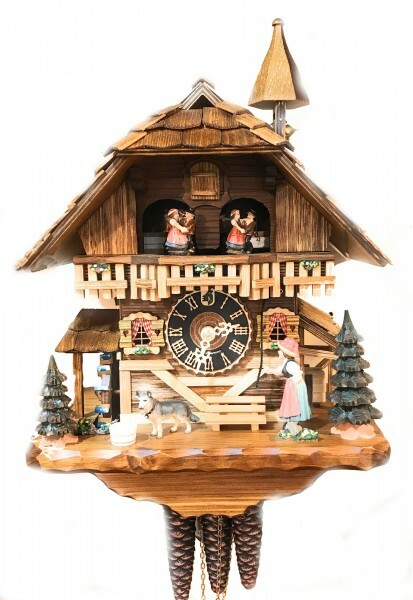 Product information "Black forest Gloecknerin with music 1 day cuckoo clock"
The Clock features a typical black forest woman that rings the bell, on top of the roof, with every cuckoo call. A hand carved german shepard is standing in front of the house. Related links to "Black forest Gloecknerin with music 1 day cuckoo clock"
Customer evaluation for "Black forest Gloecknerin with music 1 day cuckoo clock"